How To Fit : The cable fits underneith the car through the centre eyelets that are stitched onto the bottom hemline of the car cover at each side. Thread the chrome plated end through the eyelet from the outside surface of the car cover and pass it through the looped end of the cable. 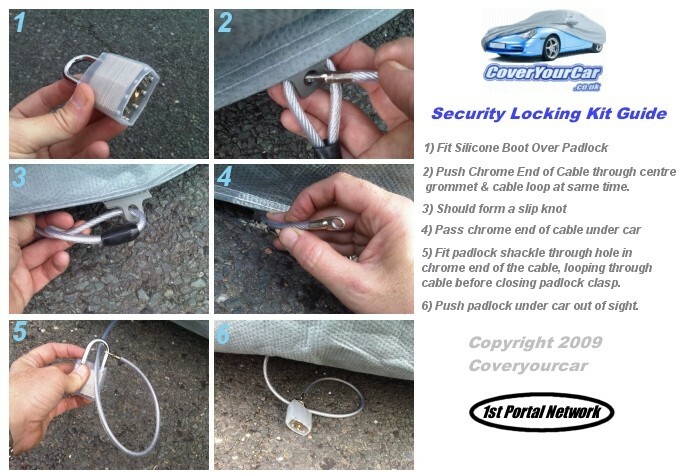 Pull the cable through and pass it under the car and through the inside of the eyelet on the other side of the car. 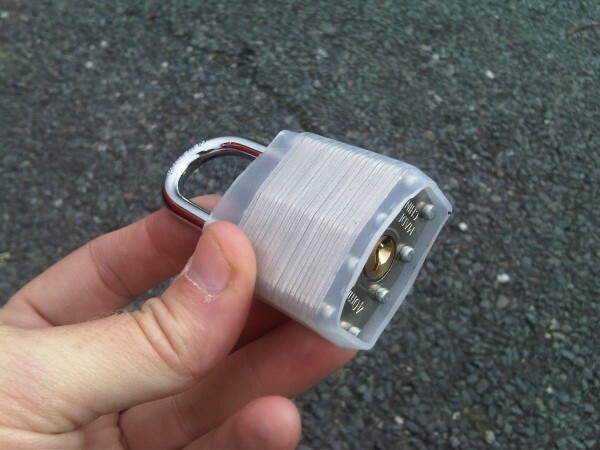 Fit the non scratch silicone sleeve /jacket over the body of the padlock and then snap the lock closed through the chrome plated cable end of the cable. 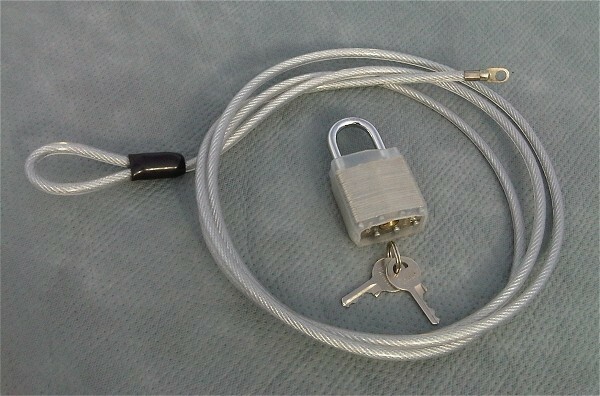 The Lock and Cable deters vandals and thieves pass through. Available for the VOYAGER and MONSOON and STORMFORCE and ADVAN-TEX Range. Sent Post Free Worldwide when ordered with a cover.